Sparks, Nevada. July 16, 2014 – Sierra Nevada Corporation has commenced the on-orbit checkout phase for six ORBCOMM Generation 2 (OG2) satellites, establishing communication with each satellite as planned. The satellites, which will replenish the current first generation ORBCOMM constellation, were launched on July 14, 2014 via a dedicated SpaceX Falcon 9 rocket at Cape Canaveral Air Force Station, Florida. SNC is the prime contractor and spacecraft bus manufacturer for this upgraded communication constellation leading all development and integration efforts from its Louisville, Colorado facility. The payload is provided to SNC by Boeing Space and Intelligence Systems. In addition to managing the development and test of the satellite constellation, SNC also manages the early on-orbit checkout from its Louisville Satellite Operations Center in collaboration with the ORBCOMM operations team at the ORBCOMM Network Control Center (NCC) in Sterling, Virginia. This low-Earth orbit constellation is comprised of a total of 17 satellites, all derived from SNC’s SN-100 bus. 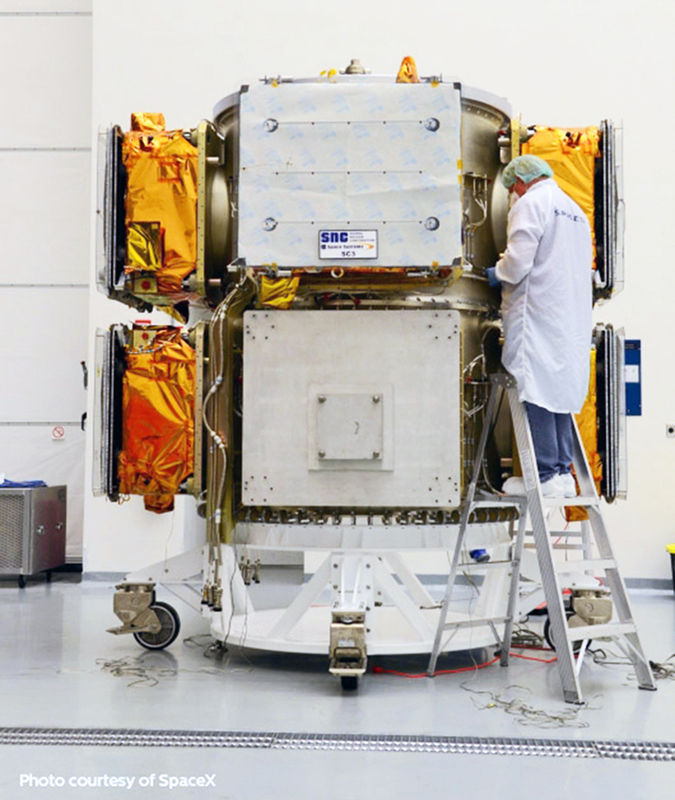 The remaining 11 satellites in the constellation are in final integration at SNC’s facility in Louisville and are on track to launch as early as the end of the fourth quarter of 2014. “This event heralds the first multiple launch of SNC’s state-of-the-art SN-100 bus platform, which demonstrates its versatility to launch in a variety of configurations,” said Mark N. Sirangelo, corporate vice president of SNC’s Space Systems. Since launch, SNC has verified the solar array and antenna deployments and connectivity to ORBCOMM’s Gateway Earth Station network. Over the next several weeks SNC will verify the full system performance for Subscriber Terminal communications and operation of the Automatic Identification System (AIS) capability. Each OG2 satellite is designed to provide reliable and cost-effective communications for ORBCOMM and its customers with up to 12 times the performance of an OG2 satellite, further enhancing the overall performance of the ORBCOMM constellation. Compared with ORBCOMM’s current constellation, the next generation OG2 satellites have advanced communications technologies, and are significantly larger, more capable, and more efficient. ORBCOMM’s OG2 satellites will provide existing customers with significant enhancements, such as faster message delivery, larger message sizes and better coverage at higher latitudes, while dramatically increasing network capacity.